Debbie loves property. Her appetite for Estate Agency was whetted by her previous role as an accompanied viewings person where she first met Howard and Julie. 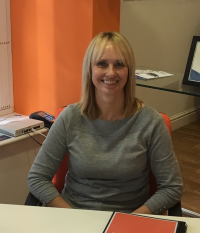 Her natural enthusiasm, coupled with a calm and measured approach meant that she was the obvious choice as negotiator when the new branch opened in October 2016. Her previous employment has always been in the public eye and her commitment to customer service ideally mirrors the branch ethos. When not working Debbie alternates her time between her family, keeping fit and walking her German shepherd dog.